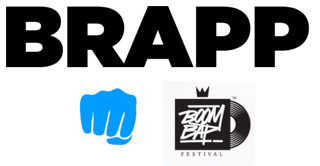 Music industry start up Brapp, who have created a free new pocket sized music studio and social networking app, which is connecting thousands of vocalists, rappers and producers all over the globe, today announced an innovative partnership with Hip Hop music festival Boom Bap, which celebrates its fifth year and is staged at Mildenhall in Suffolk on 29-31 July. The partnership, which will see the festival using Brapp to source acts for high profile slots on the main stage at this year’s event is the first in a series of activations Brapp plans to execute over the summer, raising awareness for apps significant A&R resources. Ivan Andrade of Boom Bap Festival comments, "Digging to find the freshest talent in a scene as crowded as ours can be tough, but Brapp makes it easier on promoters like us. It's testament to the calibre of the performers Brapp attracts that we've been able to book three artists for our main stage just from a simple call-out. And it's also nice to know that all of our attendees have a chance to put themselves forward, given that the platform is so simple and easy-to-use." Brapp, which functions as both a pocket studio and a social network, enabling users to make 1 minute vocal and musical performance videos over the top of beats, which they can select from thousands uploaded by producers, launched in September last year and has already been praised by publications including The Daily Telegraph for connecting emerging rappers and vocalists with established artists and is quickly becoming one of the most significant music apps of this year. Brapp is gaining notoriety fast, already engaging a diverse range of high profile musicians including Roni Size, Heavytrackerz, Rag n Bone Man, Chester P, Plastcian & Rudekid who are using the app to connect with emerging rappers, musicians and producers across the world. Early support from high profile artists and music industry for Brapp can be attributed to the 10 thousand musical collaborations the app has already created between established and emerging producers, vocalists and rappers, creating a unique platform for all musicians to work together, regardless of their stature. Brapp's popularity can also be attributed to how it is redefining the music industry concept of territories, breaking down borders and allowing musicians to work together across the globe, in over 80 different countries so far, whilst also encouraging cross genre collaboration. Producer Roni Size who has backed the music startup recently stated: "Brapp takes away many of the boundaries for emerging artist and it makes it possible for established artists to work freely with emerging talent. A process which in the real world can take months and months of planning, endless emails about logistics etc. It makes the process for working with new talent very easy. The licensing set up is impressive as there is usually a lot of red tape involved in making music within unsigned acts - it’s great as this set up means you can just get on with being creative." Emerging artists who are keen to enter the Boom Bap competition and potentially perform on the main stage at this years festival, need to download the app via the app store, perform on any beat and include the tag #boombapfestivalR2 before Saturday 4 June 2016. Brapp is a social platform that puts a powerful studio in your pocket. Producers can upload beats and anyone can record a 1 minute video on top, mix down the audio with powerful studio effects, add video filters and instantly share with their followers. ⁃ Discover, connect and keep up with new musical collaborations as they happen The Brapp team includes brothers CEO: Niki Mukhi and New Business Development Officer: Pavan Mukhi, CTO Levent Ali and CCO Raad Haider – all young entrepreneurs and musicians who developed the app to break down barriers emerging artists face in the modern music industry. Niki, spent the last 4 years developing networking solution concepts and user interface design after studying marketing management in London, and also worked as a guitarist and musical director and composer, performing in over 50 cities worldwide from WOMAD & Glastonbury festivals to the Cologne Philharmonic. Pavan who formed the award winning Hip Hop group Foreign Beggars and Dented Records to manage the groups releases. 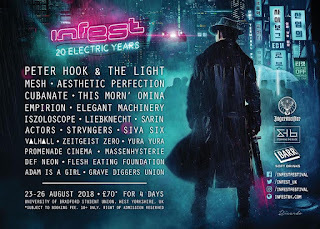 The group received global success and critical acclaim with a succession of high-profile collaborations with the likes of Noisia & Skrillex and supporting the likes of The Prodigy, Amy Winehouse, Snoop Dogg and the Wu Tang Clan on tour. Brapp CEO and co-founder Niki Mukhi stated “The way we discover and interact with artists and music has changed time and again with the introduction of new technologies. Today things are different, we are different, and the world is all about direct connections between everyone everywhere (artists and music lovers alike). We developed Brapp to create a way artists and music lovers can actually connect and collaborate beyond all barriers. Anyone can download the free app and have a powerful recording studio in their pocket and, most importantly, have the license to perform on anyone else’s tracks. Brapp has a single profile type so anyone can be a producer, performer or listener. There are no “territories” (country borders) that prevent people being able to connect, collaborate or share and there are no “genres” as these lines cease to exist in music more each day."